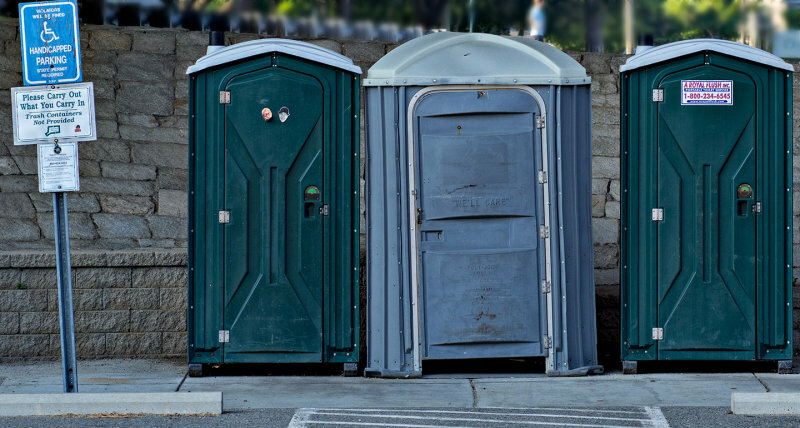 Frank Brault | all galleries >> Galleries >> Ordinary things > The middle sign on the left of these portable toilets makes me laugh. The middle sign on the left of these portable toilets makes me laugh. Well spotted. It gives me a giggle. That could be a problem! Well spotted Frank. Excellent find, Frank. You have a good eye. The middle poty has definitely seen better days..